Members in your Pro network have the option to share their email address with you when they RSVP to any event for the first time. All members are asked to agree to share their email address and have the option to opt out. You can access the email addresses of members who have opted in via the Members page on your Meetup Pro Dashboard. Email addresses are displayed under your members’ names. You can export a list of member information (including email addresses of members who opted in) by selecting Export. Mailchimp users can connect their Meetup Pro account to their Mailchimp account directly to create email campaigns. Sync your Mailchimp account and your Meetup Pro account with the MailChimp Sync button on the Members page on your Pro Dashboard. Then, select your preferred list and select Sync. In your Mailchimp account, segments are automatically created for each group in your Pro network. To view a list of your segments, go to the Mailchimp you’ve picked, select Manage Contacts, then Segment. Members who have shared an email address can opt out of the email sharing program by submitting a request to the dedicated Meetup Pro support team. The network administrators will be notified of any request made by a member of their Meetup Pro network. Your Meetup Pro Network is growing—we’re here to ensure you find *all* of your people. Keep a cadence of Meetups on the calendar—it makes it easier for potential members to join your Meetup and get involved right away. As a Meetup Pro Admin, you lead a large team of co-organizers. You chose these people for a reason, and they will all have something great to contribute to your goals. Encourage them to share new ideas and collaborate on projects together. Share your Meetup group’s upcoming events with blogs or newsletters in your industry—Bibblio Events gets the word out by sharing upcoming Meetups with the tech newsletter Gary’s Guide. Start your own community newsletter and encourage local organizers to contribute stories and learn from each other’s successful practices. We love the way Magento shares updates and events in their #MagentoMonday Community Digest. You can access the emails via your Meetup Pro Dashboard (access the ‘Members’ tab and then click ‘Export’). MailChimp users can also directly connect their Meetup Pro account to their MailChimp account. To sync your MailChimp account, visit the ‘Members’ tab of your Pro Dashboard and click on the ‘MailChimp’ button. Meetup Pro: How do I grow my Pro Network’s reach? To view your communication history, tap the "Sent Messages" link at the top right of the member pane and you’ll see a list of every message you’ve sent using this tool. Note that admin access is required to use the central communication tool. Co-organizers can contact members on a group level. When you’re growing your communities, sometimes it’s hard to decide where to go next. Take a look at Meetup’s topics page. You’ll find the most popular topics under each Meetup category. Select a topic, and you’ll land on a page with related topics, Meetups near you, and overall largest Meetups focused on that topic worldwide. Take some time to learn from these details—where are the people with the most interest? 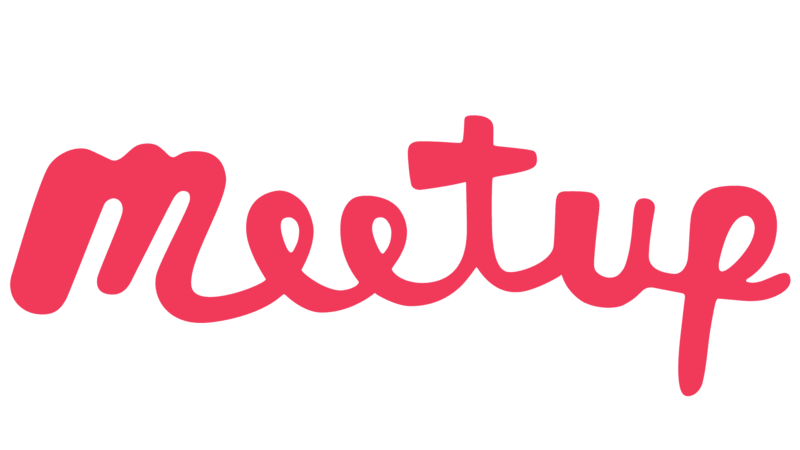 What places would benefit from your Meetup’s presence? Examine your Meetup’s current topics—what locales have the most Meetups around that topic already? Check out the largest Meetups and their locations—are they active? Do people meet regularly about the topic? Maybe they even have organizers that could be good local organizer candidates for your future Meetup. Listen to your brand or organization’s current fans and ambassadors—what are they doing and where do they live? Download your current member list (under your Members tab) and see where your members are actually located—some people may be traveling further than you think! It might be worth starting another Meetup group in a surrounding city. Use your social media networks to ask your communities where they want to meet IRL. Consider using a Twitter or Instagram poll or other voting tools to find out where your people are. Wherever you choose to grow next, having an amazing local organizer is key. As long as you’re supporting your team, they’ll be successful. Meetup Pro: Where should I start my next Meetup group? If you’d like to consolidate Meetup groups into a single Meetup Pro account, simply follow the steps below. The instructions vary based on whether or not you are the primary organizer of the groups to be linked. Be sure to follow the instructions that match your network's needs. If you do not see any Meetups listed on the Link a Group page, it means that the account you've used for your Meetup Pro account is not the primary organizer of any existing Meetup Groups. If you have existing Meetups organized by a different account, you’ll need to transfer ownership to your master account. Learn more about transferring ownership on this page. Transfer ownership of the group you wish to link to your master account by following the instructions on this page. Note that both the Meetup Pro admin and the group’s current primary organizer will need to take action. Once you’ve selected a local leader for your new Meetup group, you’ll need to add it to your account. Log into your Meetup Pro Dashboard. Click on the Groups tab in the left navigation bar of your Pro admin page. At the top right of the Groups page, click Add group and select + Start new group from the drop-down menu. When writing your group's description, remember to let the Meetup community know the purpose of your group, who should join and why, as well as what new members of your Meetup can expect. When you're finished, your new group will be reviewed by our Community team. If it’s approved, it will be announced to interested members nearby. Be sure to schedule your first event as soon as possible in order to capitalize on the heightened attention. Congratulations on your newly active Meetup Pro account! Here are some tips to get started on the right foot. Start small. Identify a pilot city (or cities) where you will launch your program. You should choose a city where you have a receptive audience and a local leader on the ground. Be prepared to hit the ground running. Plan your first couple of Meetup events so that you can keep the group active and engaged while you plan for growth. Meetups have the best chance of succeeding when events are scheduled early and often. Brand your Meetup network. Writing a strong Meetup Group description is critical, as is creating a consistent look and feel across your network. Meetup Pro allows you to create an appearance that is true to your organization both on an individual group level and the network level. Plan for future growth. Identify additional cities and start the search for local leaders. To start a group, login to your Meetup Pro admin (www.meetup.com/pro) and head to the 'Groups' tab from the left navigation bar. At the top right, click ‘···Groups’ and select ‘Start new group’ from the drop down menu and follow the prompts. After you write your description, your new group will be reviewed by our community team. Once approved, it will be announced on our network. Be sure to schedule your first event as soon as possible in order to capitalize on the heightened attention! How do I launch my Meetup Pro network? You have great local organizers and you’ve provided them with all the tools they need — how can you ensure their success? What do you want your Meetups to accomplish? Create goals and be clear and direct with your local organizers. Consider using S.M.A.R.T. goals — goals that are specific, measurable, achievable, relevant, and time bound. Use your Meetup Pro Analytics tab to help track some of your goals. Once your goals are in place, find a way to reward organizers who achieve them. Not sure how your organizers like to be rewarded? Ask them! This will help you design a clear rewards system that your organizers can work towards. Create an ongoing support system that your organizers can access after their training is complete. You’ve found your team; now help them succeed. You’re expanding your Meetup Pro Network’s reach with some great local leaders, and now it’s time to help them further your mission. The leaders you’ve chosen have unique skills and ideas to bring to their Meetups. Here are steps you can take to help them create consistently great experiences. Your organizers will come with different experiences, within and outside of Meetup. Meetup’s Organizer Guide is full of inspiration and best practices for managing your community. If you already have some local organizers in place, create a “buddy system” to pair veteran organizers with new leaders. Encourage them to set up weekly times to connect, share resources, and celebrate milestones. Make it easy for your leaders to stay in touch and share with each other. Schedule a cadence of video calls with the entire leadership team. Try free services such as Google Hangouts or Zoom. Positive feedback is just as essential as constructive feedback. Find ways to celebrate and elevate your top leaders. Send them swag such as customer shirts, stickers, keychains — something unique to your brand! Meetup Pro: How do I train local organizers? Growing your network is integral, but you can’t do it alone. Whether you’re a single-person company or a large enterprise, you’ll need local leaders to represent your mission in real life and successfully expand your reach. Your members already support your mission — ask them to be a part of its growth. If you’re ready to start a Meetup in a city where you don’t know anyone, put out the call. Use the Members tab in your Pro Console to help identify potential leaders in your existing Meetups. The advanced filters allow you to find your most active members based on when they last logged in and shows you how many Meetups they’ve attended in the past. When you have a pool of potential organizers, it can be hard to keep track of them. Use an online form creator like Google Forms or Typeform to collect and analyze their information. Write a few questions to help you choose who fits the criteria for being a great leader. What about this opportunity excites you? What previous experience do you have with [your company or brand]? How much time are you able to commit to being our organizer? Make it easy for you to weed out those ready to lead the Meetup vs. those who could be future members. Meetup’s Find page is a great resource for finding active communities in other cities. Use it to find active Meetups that already align with your mission, business, or goals. Look for ones with strong organizers near the places you want to reach. Are there lots of engaging Meetups on the calendar? Does the Meetup have active members? If you think another Meetup’s organizer and group fits your criteria, politely message them on the site and ask if they’d be interested in becoming part of your Meetup Pro network in their city. Learn more about using the Find page in our Help Center. Share what you’re looking for in a post on your Facebook page, Twitter timeline, Instagram feed, etc. Once you’ve found the right people, you’ll be able to set up ways to train them, encourage them, and celebrate their success as your network continues to grow. Meetup Pro: How do I find local organizers?